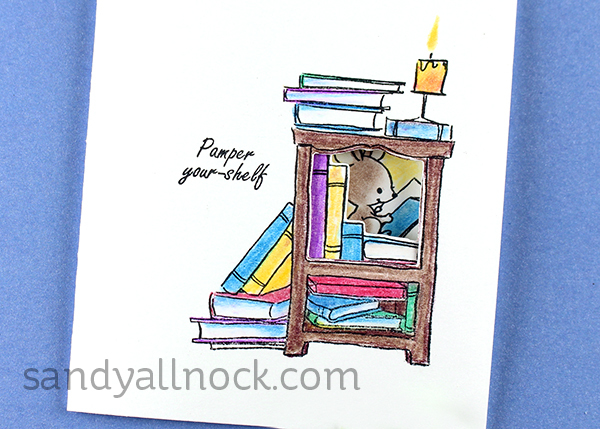 Pssst if you missed Friday’s post, go leave a comment HERE to possibly win a stamp set! And my winner from the Top Flight Stamps Bloghop is Lorraine Buttner! This is a bit of an epic post….go make a cup of tea and have a sit down, and we’ll get started! 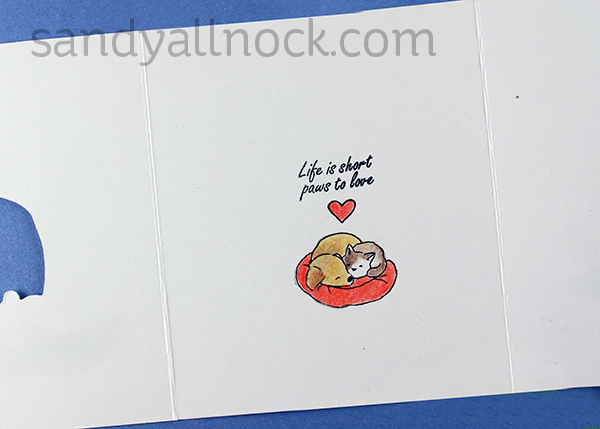 Paws to Love is, out of the new TryFold stamp sets from AI, my favorite, of course! But you’ll see a whole bunch of them in this video and post. 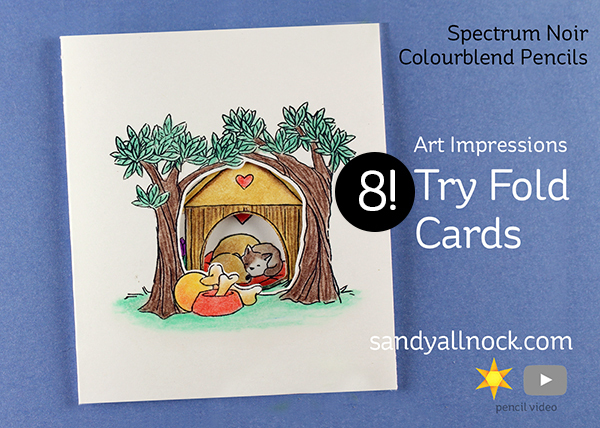 Along with some initial playing around and testing of Spectrum Noir Colourblend Pencils – comparing them with Prismacolor, and Gamsol vs Baby Oil! Watch the video below or click HERE to see it in HD on YouTube. 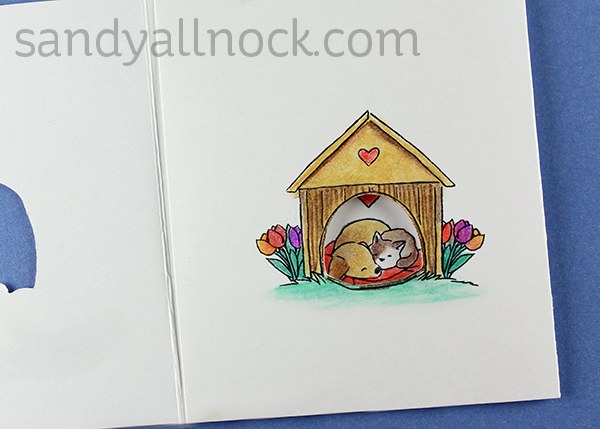 The second of the three Paws to Love panels is the doghouse, peeking inside to the kitty and puppy…. And inside – the critters! These are the supplies used for these cards….I found in this first bit of testing that, aside from wishing I had more colors (LOL), these Colourblend pencils compare favorably to Prismacolor pencils (my lifelong favorite). Gamsol vs Baby Oil: blending results seemed about the same, Baby oil seeps into the paper and leaves a little bit more of a grease spot, but the Gamsol does the same. Gamsol has a light odor, too. I think either works! But I’m totally smitten with the stump sharpener. 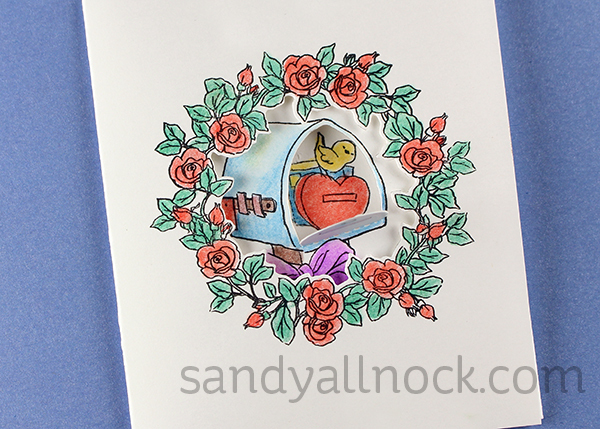 Sweet Wishes has a Valentine sentiment in it – but also has some other lovelies for year round. I love the extra-opening of the mailbox! 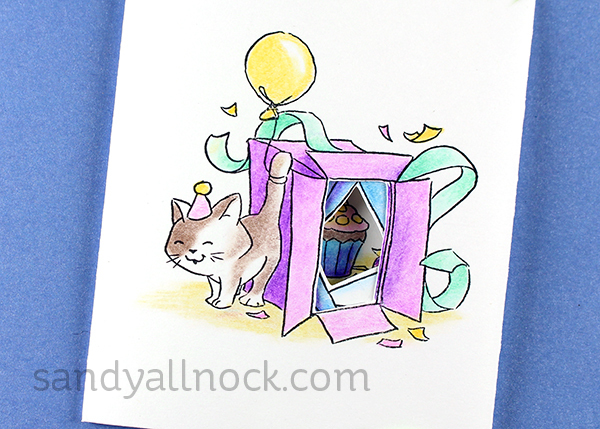 Everything wonderful – wishes for a happy birthday for kitty lovers! Eastertime is almost here – so Celebrate Spring! Seas the Day will be a stamp set for all summer – or whenever you need a vacation. Stamped on Desert Storm. Welcome Little One…a special die creates the bars on the crib. Primaries Set – the set I used! Always learn something new – thanks and Happy Easter! Love this technique and the cards. I also use the stump sander to also sharpen the point of the pencil between sharpening. I have found this extends the life of the pencil since I use the pencil sharpener less. Cute cards with lots of fun! Thank you for sharing the comparisons in blending. Oh so cute…thanks for sharing!!! 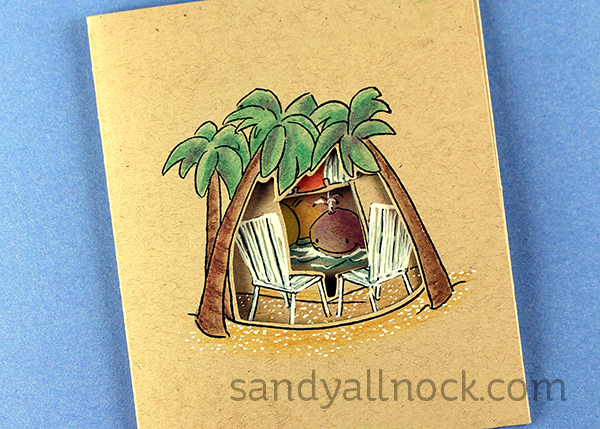 These tri-fold cards are so adorable, Sandy. I bought the full set of SN pencils and the accessories when they first launched in the UK, at a huge introductory discount. I recently moved them from the tins to a canvas pencil case that holds all 120 and I’m finding that I am starting to use them more now. I also used them for my complementary foxes (after watching your video). Love how they turned out. 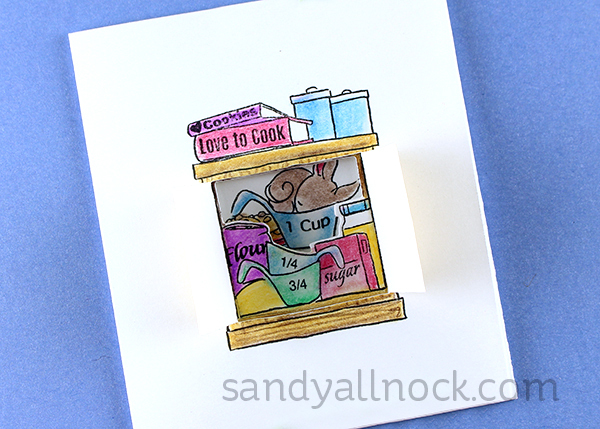 An awesome grouping of cards Sandy! Thanks also for the comparison tips with the pencils! Great video. I love these cards. Many of these sets are on my wish list. I did not know this technique with baby oil…but I will try it with my Prismacolors. The paws to lawn set is my favorite. Thanks for inspiring me and a happy day!!! Sandy, I could watch you all day. No matter what medium you have in your hands it always comes out beautiful. Can you tell me what sharpener you used. 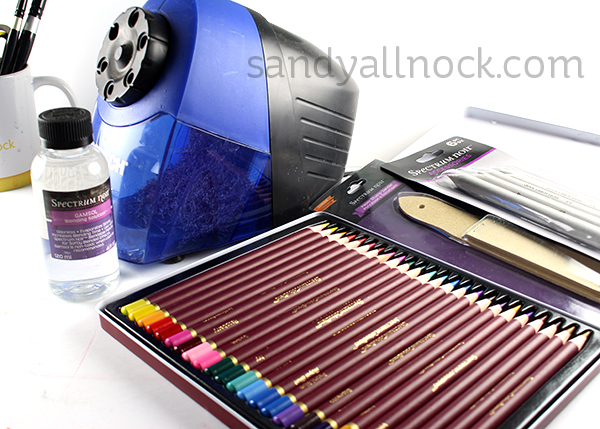 Do you feel the electric sharpener uses up your pencils more or does it stop when pointed. Can you get the sane results with a manual sharpener? Sorry forgot to link it up. It’s there now. And I do think it uses less of the lead. So that’s what those little sandpaper pads and funny white pencil shaped things are for! I’ve always wondered… Love the AI trifold sets, but I’m gonna have some trouble deciding which to get… Hm. Might have to get more than one! Also, thanks for the gamsol vs baby oil demo – that helps, too. Can’t wait to try ’em both. Love the card .Thank you for sharing! I use Prismscolor pencils . I never new that u could use baby oil .